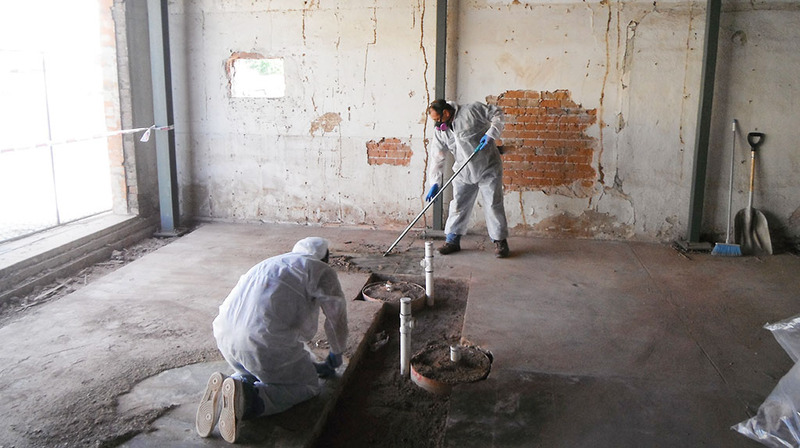 All Clear Environmental Services (ACES) is a licensed, bonded and insured Arizona Company that specializes in Demolition, Asbestos Removal, Mold/Mildew Removal and Lead Based Paint Removal Services. We offer free estimates, diagnose the degree of the problem and explain what will be necessary to remedy your unique demolition or environmental situation. All Clear Environmental requires no minimum charge for services or special work requirements. We also offer a convenient same day estimate service throughout the state of Arizona. Take a look at what we have to offer and see how we can help you with your Demolition, Mold/Mildew, Asbestos and Lead Based Paint removal needs. Whether your project involves pre demolition abatement, bulk material removal in occupied or unoccupied buildings, industrial vacuuming, environmental cleaning, lead based paint removal or microbial (mold) remediation, you can rest assured that All Clear Environmental can complete the job on time, and on budget "safely", with a minimum of disruption to your residence or business. An All Clear Environmental Services proposal will be based on what it takes to get the job done right, not guessing or low-balling. A long term client-relationship starts with a clear, practical proposal. You will know what to expect from us at the very beginning, before we start the job. Environmental abatement programs, by their character, are disruptive. Tight scheduling and sufficient resources are needed to assure minimal downtime. All Clear Environmental understands that with commercial space, time is money. Completion schedules are taken seriously at All Clear. Jobs can be scheduled on a 24-7 basis to facilitate fast turn around for businesses and home owners. The experience that comes from preparing thousands of job sites has taught All Clears workers to do it right the first time and with enormous care every time. All Clear Environmental maintains an exceptional working relationship with industrial hygienists and air monitoring laboratories to insure adherence to all job specifications.